Jeanne Bliss is one of the foremost experts on customer-centric leadership and the role of the chief customer officer. For over 20 years, she led customer experience executive at Lands’ End, Coldwell Banker, Allstate, Mazda, and Microsoft. Since 2002 she has guided customer experience transformations for major global organizations through her firm, CustomerBliss, and has inspired audiences through her keynote speeches. She is the co-founder of the Customer Experience Professional’s Association and has been called the “godmother of customer experience.” This is her fourth book. 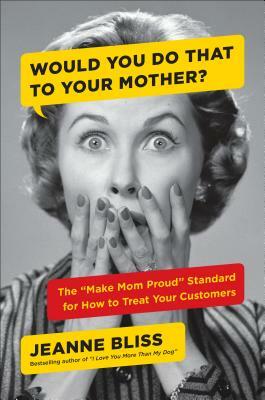 "Jeanne Bliss's book is for anyone who's serious about improving the customer experience. I loved her inspiring and practical case studies."